The Ham House matched up with my vision of it in a near perfect way. 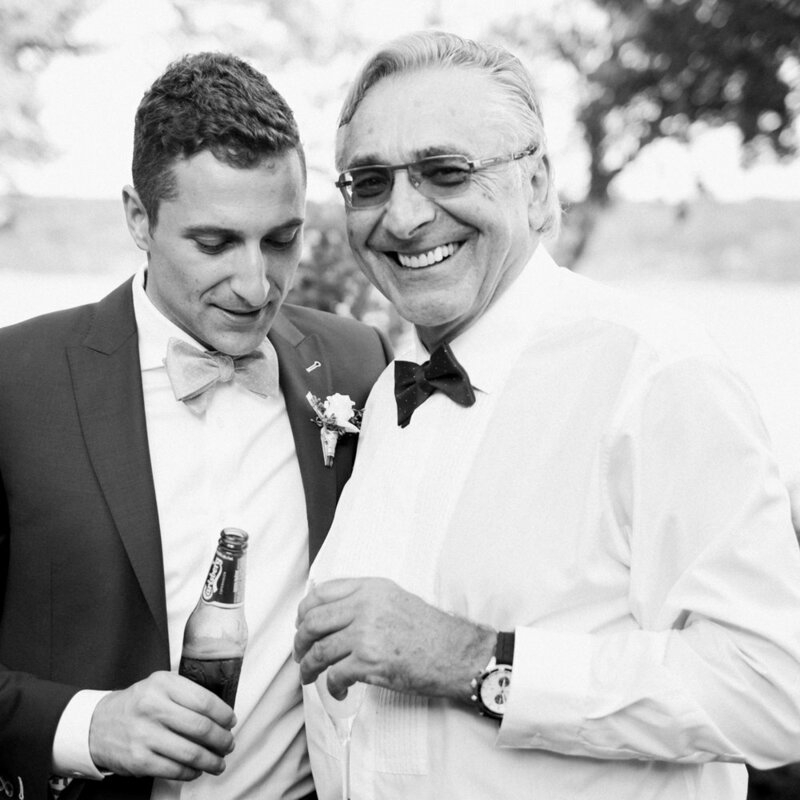 Surrounded by the Catskill mountains, this gorgeously designed mansion did not disappoint Julian and Daria as their dream location for their Hudson Valley destination wedding. A few notes on the fantastic attire of the day ~ Daria is wearing a gorgeous pleated silk chiffon Nina Ricci dress, Manolo Blahnik shoes, and a beautiful headpiece from Carmen Maria Mayz. Julian is sporting a custom made-to-measure Zegna suit and vest (3 pc, 2 button). Shoes were Church's and a Hermès pocket square which was a gift from Daria some time ago. 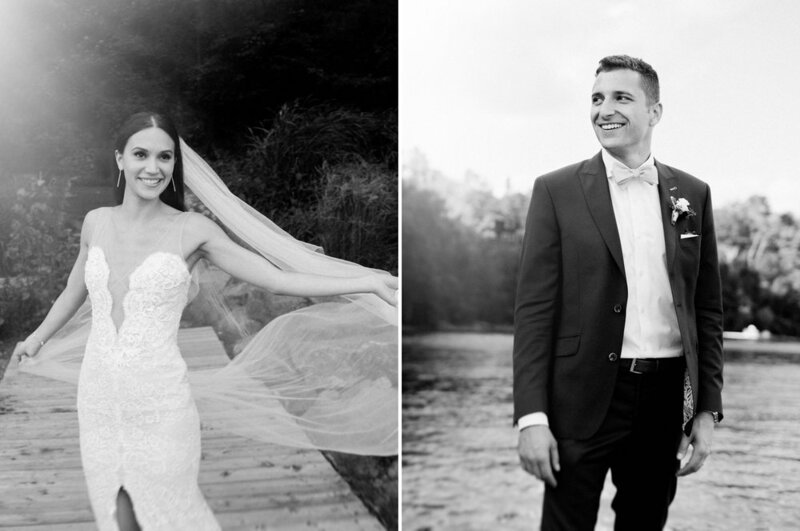 This Manor Hovey Quebec Destination Wedding post is really a happy one for me, aside from the bride and groom portraits most images are paired together more like sketches of what's happening quietly in the corner of the room more than focusing exclusively on the main attraction. An image of someone nearly falling over, a sideways glance of an elegant and still flower arrangement, a plate with colourful, edible footprint left-overs resting on the table, a spontaneous toast from inside the garden, leaning in for a sweet embrace and a few close, private whispers, I really like these views, and from what Melissa and Allen asked me to do for them, I kept the frames casual, loose, and just followed a feeling for things all day. What do you think? Le Manor Hovey has always been a favourite location of mine, the waterside view from their suites are amazing, their staff and kitchen are top notch, and the guests love taking little walks through the grounds and garden. It's a real treat for out of town guests, and I can't say better things about a venue. 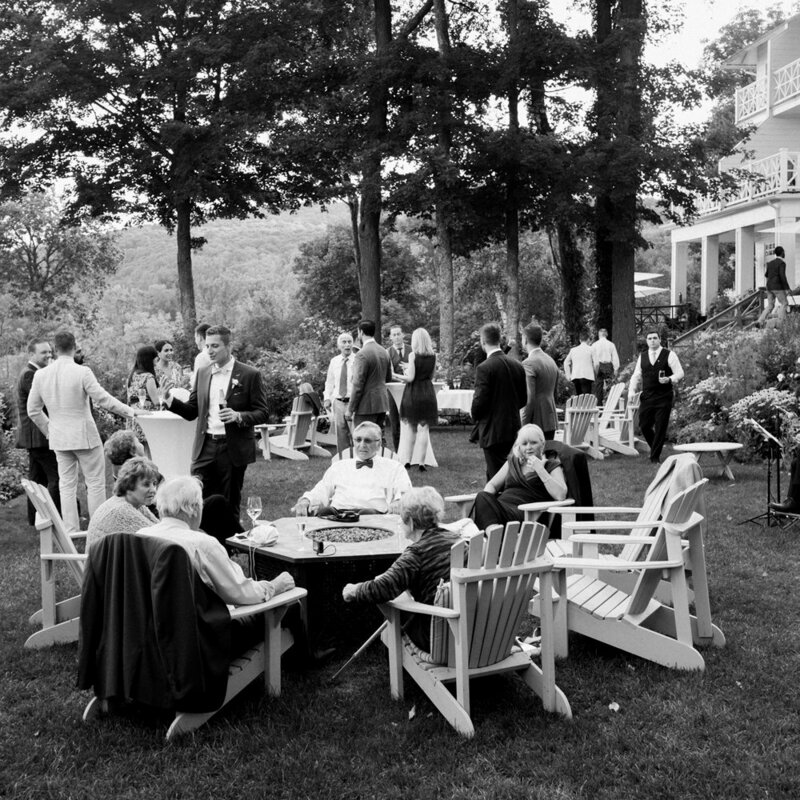 A big thank you to the staff @ Manoir Hovey, and everyone that came together to help make this an amazing day. Do check out Manoir Hovey - manoirhovey.com/en and of course L'Abeille Fleuriste. 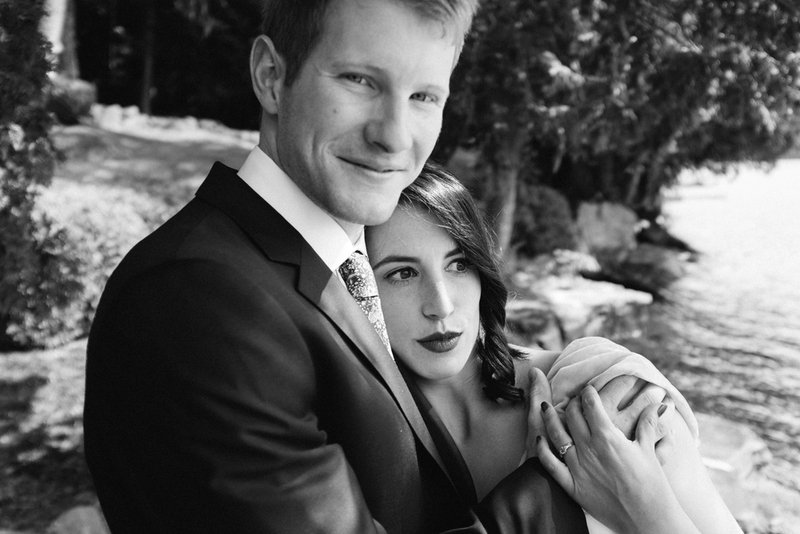 Surrounded by the water at her family cottage, Erin married Liam under a chuppah handmade by the groom himself. It was really wonderful to see Erin and Liam's wedding day unfold the way it did and throughout the evening at the gorgeous Estérel Resort in Saint-Sauveur, Quebec. Here are a just a few of my favourite images from their wedding day. One frame of Gabrielle & David, taking a few moments for themselves, running off to wade through rivers on their Quebec destination wedding near Sutton, Quebec. No shortage of magic that day. A few images from Gabrielle and David's Destination Canadian Wedding, walking through cool water, taking a few moments for themselves as they should. 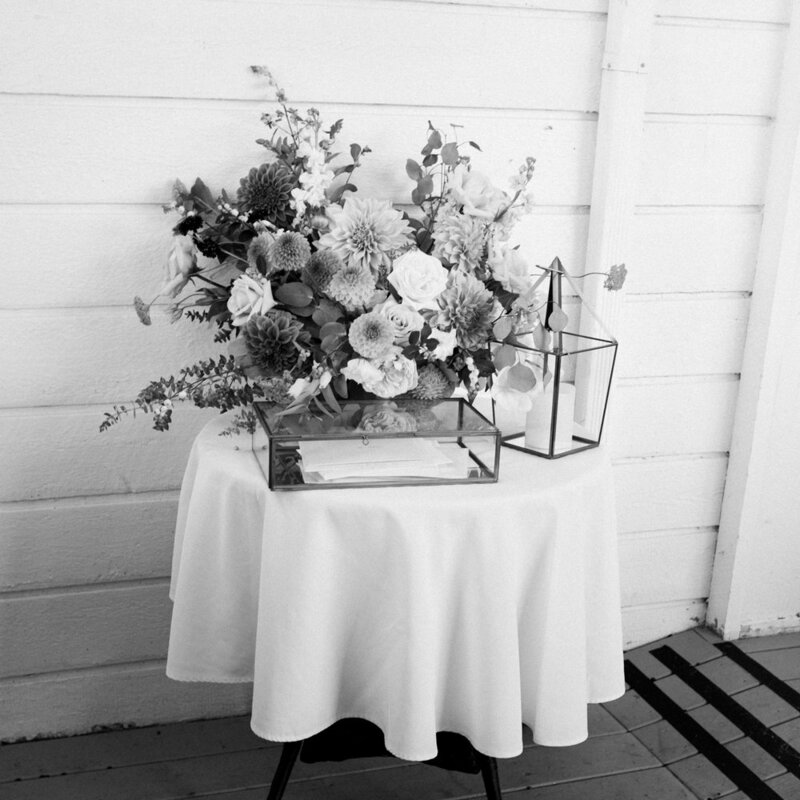 So much more from this country wedding in the Eastern Townships coming soon. 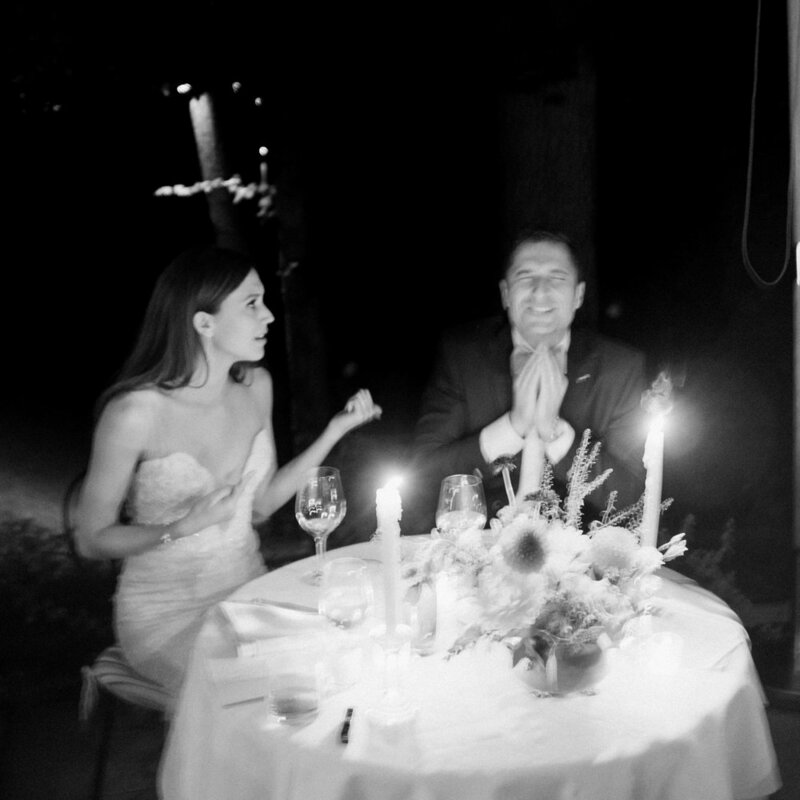 This is just a tiny preview of from Christie & Michael's destination Canadian Wedding at L'Auberge St. Gabriel. 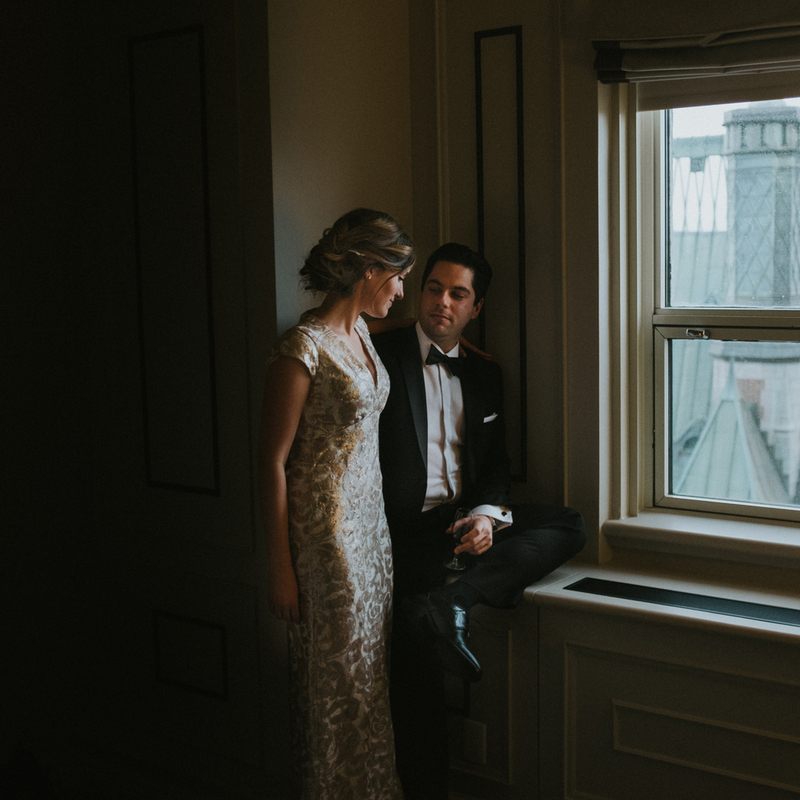 Their wedding celebration here in Montreal began with a gorgeous view of the city through the windows of their St. James Hotel penthouse suite. Images from this wedding remind of me of Time Life portraits, classic, black and white, portraits of strong, elegant, and smart women completely in charge and running the show that day. What a day is was. 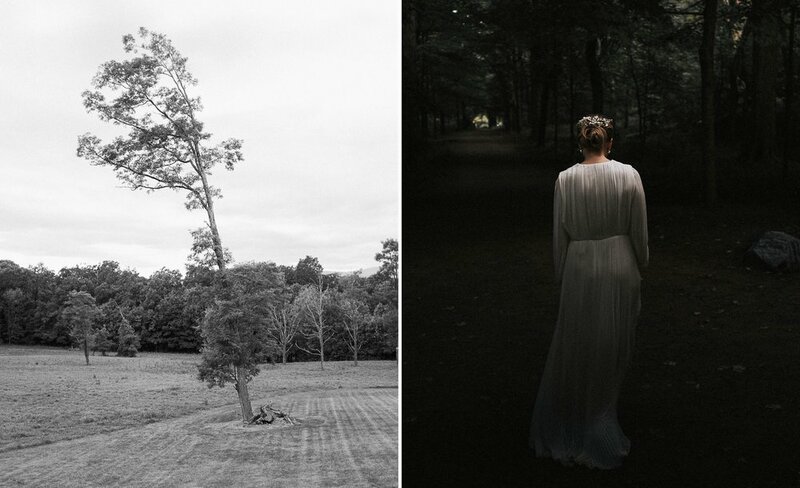 A few select wedding portraits were featured over on the Carrots & Cake blog. Check that here. This is one frame above from a really special day I spent with Stephanie and Chris, who travelled to Quebec City to elope at one of the most impressive, historic, and romantic destinations in the province, the Chateau Frontenac. The Château sits at the edge of the old city, and looks over the always fast moving Le Fleuve Saint-Laurent. The winter light was low and soft that afternoon which gave me a chance to use a very moody type of light which I love, and is shown in the photograph above. During the short time we spent together Stephanie, Chris, and I made portraits in the hotel's most gorgeous rooms, stairways, and corridors. The Fairmont staff were without a doubt the most accommodating and helpful I have come across of any hotel, and we thanked them all for their excellent work unlocking doors for us throughout the afternoon into evening. Quebec City weddings are always really special and I cannot wait for the next opportunity to visit that city and meet new friends there soon. A big thank you to my new friends Stephanie and Chris while they fly back to Halifax as we speak. Below are a few more images from their Quebec City elopement.